Nothing puts a damper on residential cleanup or remodeling like not knowing what to do with your rubbish. 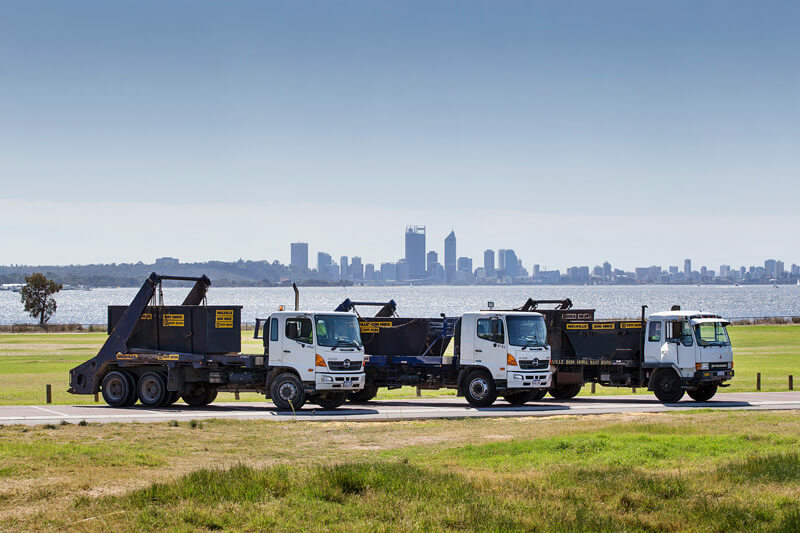 At Melville Bin Hire, we are here to make the whole process flow smoothly. 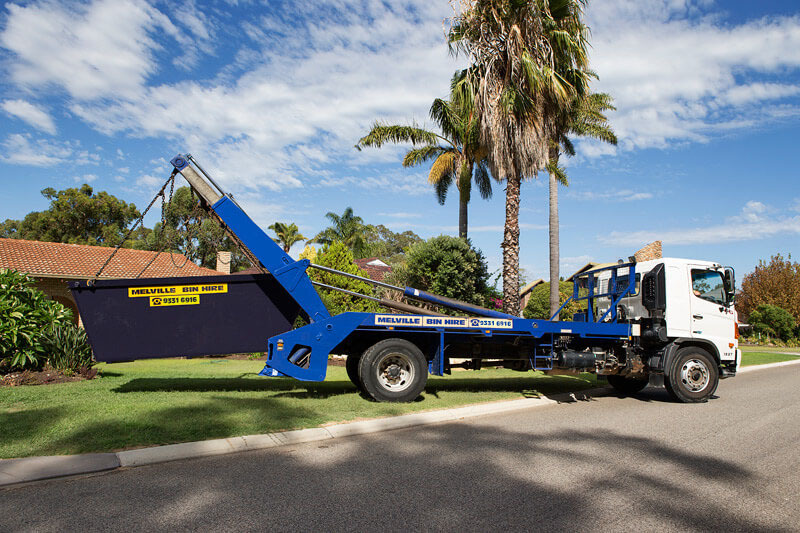 When you call us, we deliver your skip bin quickly and promptly to your area. Not only do we provide the bin or mini skip that you need, we haul your waste away to disposal facilities that are environmentally friendly. One of the first questions we get asked is about the type of residential rubbish we collect. It is important not to place food, liquid, or hazardous wastes in the bins, and we are always happy to answer any questions you have about the types of materials you wish to have disposed of. 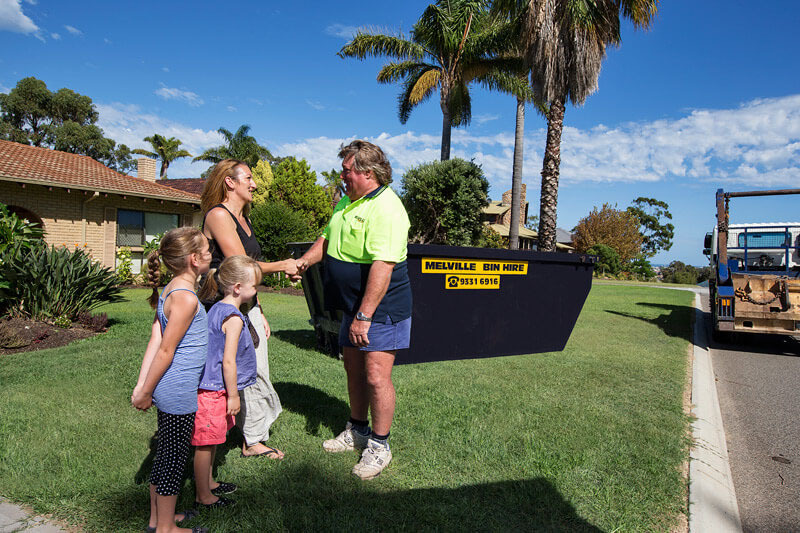 Melville Bin Hire will usually be able to have a skip bin delivered to you on the day or the next business day after you call for skip hire. We allow you seven days to fill the bin, although if you need more time you can just let us know. If you get it filled more quickly, simply let us know and we will be out to pick it up. We offer some of the most affordable and competitive prices in the business. There are no hidden charges and the price includes pickup and delivery as well as tipping. Our web sites bin estimator or our friendly team can help you determine whether you need a mini skip or another size bin based on the project you plan to clean up. As a helpful service to our residential customers, you can hire a skip bin for your metal items and we will deliver it to the metal yard so you can make a sale – the cash you receive could more than pay for your skip hire. Mixed waste not included, only metal objects will be accepted. 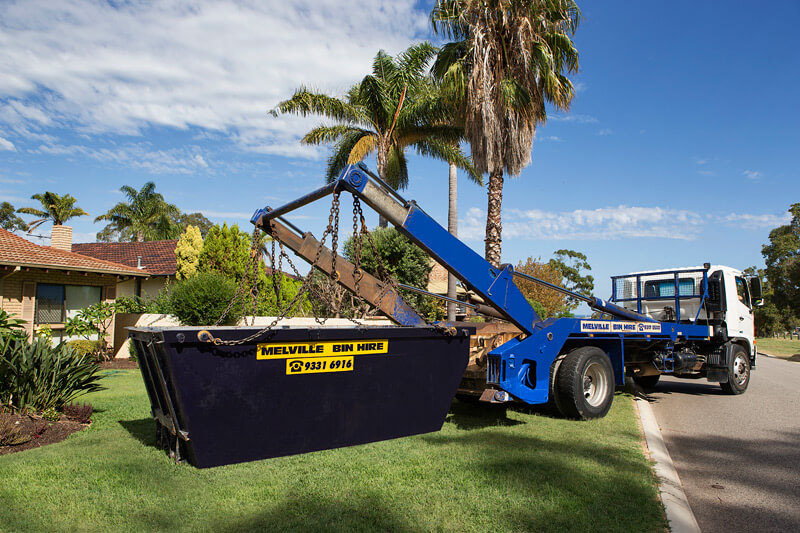 When you need residential skip hire, the only company to call is Melville Bin Hire. We make cleaning up easy. Contact us today on 9331 6916 for more information.